Jeremy is Chairman & Managing Director of B E Wedge Holdings Ltd, the largest group of galvanizing companies in the UK, with a turnover of approximately 100 million and 960 employees. The company has interests in plants in the USA and Europe. He became the inaugural Chairman of the CBI Black Country Steering Committee. Jeremy is a past member of the CBI WM Regional Council and Regional Chairman of the West Midlands in 1994-96. 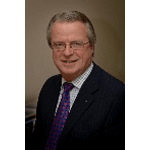 He is a past Chairman of the UK Galvanizers’ Association and past President of the European General Galvanizers’ Association. He was also a member of the Management Board of the EEF West Midlands and President in 2002-2005. He was appointed Chairman of Governors of Tettenhall College in September 2005 and was a past independent Governor of University of Wolverhampton 2004-2011. Jeremy was awarded the CBE in 1998 for services to Business and was High Sheriff for the West Midlands in 2000-2001. Jeremy is Patron of Compton Hospice.